Production is now officially underway on Fox’s new family drama series, which will be set in the X-Men universe. A couple of weeks ago, the first image of the cast gathered together for a reading made its way online, accompanied by a caption that suggested the show would be titled Gifted. Today, however, we have a new behind-the-scenes photo which confirms it’ll actually be called The Gifted. Not a huge difference, obviously, but it does somewhat alter the connotation of the moniker. 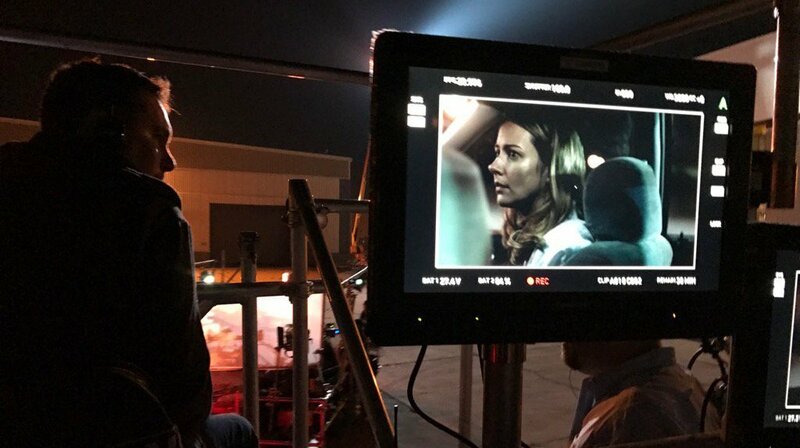 The pic was shared by long-time X-Men producer Lauren Shuler Donner, and gives us a glimpse of pilot director Bryan Singer behind the camera, as the show’s female lead, former Angel alum Amy Acker, performs a scene. The context of what’s going on is unknown, but it’s definitely nice to get a look at the in-development series, as it does sound promising. Acker will play a woman named Caitlin Stewart, who must put her differences with estranged husband, Reed (True Blood star Stephen Moyer), aside to focus on keeping her mutant children safe from the shadowy government forces pursuing them. The family sets out on the road, where they encounter an underground network of mutants which will include some established Marvel Comics character such as Thunderbird (Blair Redford), Blink (Jamie Chung) and Polaris (Emma Dumont). The Gifted is being executive produced by showrunner and writer Matt Nix, along with Shuler Donner, Singer, Simon Kinberg and Marvel TV’s Jeph Loeb and Jim Chory. There’s no set premiere date just yet, but keep an eye on WGTC for any and all updates.